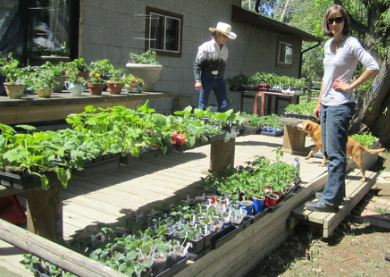 In conjunction with our Family Farm Day on May 16th, we will have locally grown garden starts and seeds to purchase. We are pairing up with The Growing Project o offer tomatoes, peppers, raspberries, and some other warm weather plants that are ready to go in your garden. We will also have some herb salts and soaps available, and some other delectables, so stay tuned. : ) AND there will be an opportunity for some body adornment by the lovely Henna by Angela. Kids hug chickens and goats, kiss the pigs, swing in the haybarn and parents get what they need to get gardening and maybe some henna, too -- what could be better!